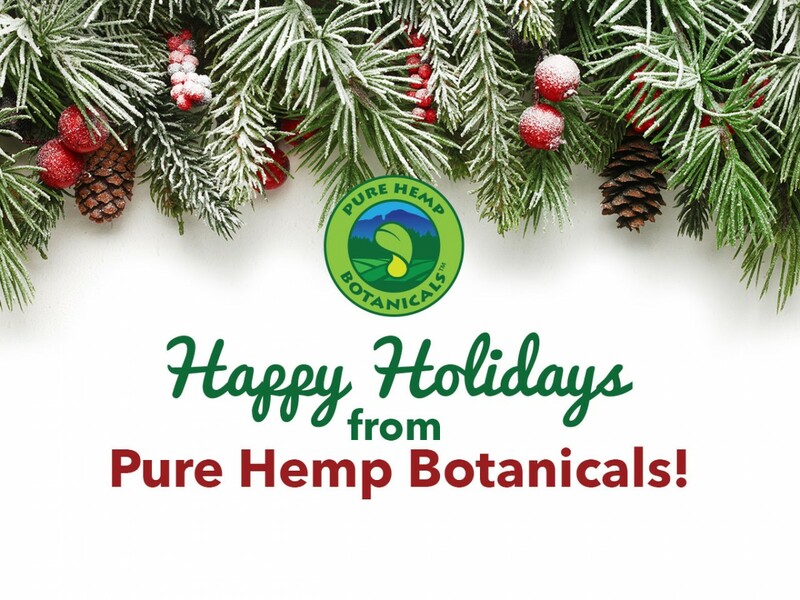 Happy Holidays from Pure Hemp Botanicals! Home/Hemp Facts/Happy Holidays from Pure Hemp Botanicals! Happy holidays! The year has flown by, and we are so thankful that you have become part of our community and have supported us during our first year in business! We have enjoyed getting to know many of you through your comments, mentions, and in person at events. We are looking forward to continuing to connect with you in 2016 and introducing you to more amazing hemp products! Our mantra, “Compassion in Action,” guides our work and relationships throughout the year, but during this time of year, our mission is particularly important. We seek to raise awareness and inspire others to adopt an attitude of compassion for people and the planet. So, we invite you to pause, take time to count your blessings, perform a random act of kindness, and enjoy this magical time of year with your family and friends. Here are a few ideas to help you enjoy the holidays a little more, beat holiday stress, enjoy celebrations, and maintain your health. From all of us at Pure Hemp Botanicals, happy and healthy holidays!